When Vincor International was acquiring wineries a decade or two ago, chief executive Donald Triggs generally retained the management of those wineries. As an example, Kim and Erica Crawford, the founders of New Zealand’s Kim Crawford Wines, were given a two-year contract to run the winery after Vincor bought it. In fact, they remained eight years before leaving to do their own thing again. Jay Wright was one of Vincor’s senior executives at the time. Now, he runs Arterra Wines Canada, the Mississauga-based company that operates the Canadian wineries once part of the Vincor portfolio. Arterra was formed in December, 2016, after Constellation Brands sold its Canadian wineries to the Ontario Teachers Pension Fund. This week, Jay used the Kim Crawford template when Arterra acquired Laughing Stock Vineyards, the premium Naramata Bench winery founded in 2003 by David and Cynthia Enns. The founders will stay on to manage Laughing Stock. David just turned 60; Cynthia is in her late 40s; and both are healthy and full of energy. In fact, Arterra was not shopping to acquire wineries. In the Okanagan, where it runs about 1,200 acres of vineyards, Arterra already owns Jackson-Triggs, Black Sage Vineyards, Sumac Ridge, See Ya Later Ranch, Inniskillin Okanagan and 50% of Nk’Mip Cellars. It also owns Steller’s Jay, a major sparkling wine brand. Jay already had a lot on his plate. Late last summer, while he was introducing new employees to Arterra’s Okanagan properties, it was suggested that he look at Laughing Stock Vineyards which had retained Deloitte Canada to solicit (very discreetly) offers for the business. At first, Jay said his schedule was pretty tight. The schedule went out the window when he met David and Cynthia Enns and grasped what they have built. Laughing Stock was in play because the founders recognized that they were at a turning point with their business. Their choice, he concluded, was either to retrench, or to keep growing and filling the pipeline supplied with wines that were selling out faster and faster. So they hired Deloitte to find a partner to support growth. Seven companies considered the opportunity and four made offers, including Arterra. Even though Jay Wight was not looking to acquire, he changed his mind after and Paul Kasselbaum, Arterra’s chief winemaker, spent a morning in early August at Laughing Stock. They clicked immediately with David and Cynthia. Adding premium wines to the portfolio is central to Arterra’s strategy. That contrasts with the Constellation Brands focus, which did not nurture all of the premium wine opportunities that Vincor had created. He refers to two joint ventures that Vincor had created with major French wine producers. The French partner in Osoyoos Larose took over Constellation’s 50% a few years ago. Le Clos Jordan, located in Ontario, made several vintages of premium Pinot Noir and even commissioned a spectacular winery design by Frank Gehry before Constellation shut it down. The new partners give David access to additional grapes and to more capacity. One of the elements that cemented the deal was a tour of Arterra vineyards. One of the first priorities likely will be addressing Laughing Stock’s capacity constraints. If David’s advice is taken, the production of Laughing Stock white wines will move to a facility dedicated to white wines. That would free up the capacity for almost 3,000 cases more of reds at the Naramata winery. Currently, three-quarter of Laughing Stock wines are red. They are made in a gravity-flow winery designed at the outset to make Portfolio, Laughing Stock’s flagship red blend, which sells for just under $50 a bottle. In what looks like another step in the consolidation of Okanagan wineries, Arterra Wines Canada has just announced the purchase of Laughing Stock Vineyards. This comes two and a half months after Andrew Peller Ltd. spent $95 million to acquire Gray Monk Estate Winery, Black Hills Estate Winery and Tinhorn Creek Vineyards. Peller and Arterra are Canada’s two biggest national wine companies. Now owned by the Ontario Teachers Pension Fund, Arterra formerly was the Canadian arm of U.S.-based Constellation Brands and, prior to 2007, was Vincor International Ltd.
Arterra, which is headquartered in Mississauga, already operates a group of wineries and brands in British Columbia. These include Jackson-Triggs, Inniskillin Okanagan, Sumac Ridge, Black Sage Vineyards and See Ya Later Ranch. It also has a 50% interest in Nk’Mip Cellars. And it operates more than 1,000 acres of vineyard in the Okanagan. Laughing Stock gives Arterra control of a boutique producer with a strong following for its premium wines, much as Peller’s purchase of Black Hills brought an iconic producer into that company. For background on Laughing Stock, here is an except from my recent book, Icon: Flagship Wines from British Columbia’s Best Wineries. Before David Enns blended the 2003 debut vintage of Portfolio, he made what he calls “the pilgrimage” to Bordeaux. In two weeks, he tasted about 1,000 red wines to determine the style that would serve, to some degree, as the model for Portfolio. “When you start out, you have got to have a style,” David maintains. “You have to stick to it for a number of years.” That discipline worked for him, making Portfolio a widely collected Okanagan red blend. 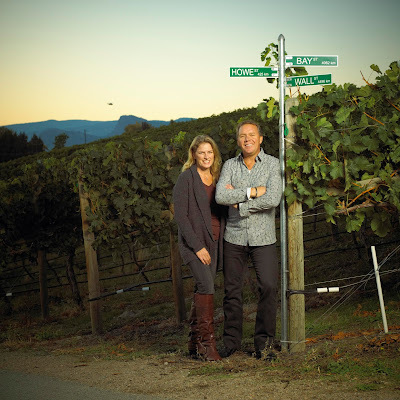 David and his wife, Cynthia, were successful investment consultants in Vancouver when, in 2002, they bought a newly planted 2-hectare (5-acre) vineyard on Naramata Road for a future winery. They called it Laughing Stock, because they would embarrass themselves with their clients if it flopped. After all, David’s winemaking was limited to two vintages in his basement with Washington state grapes, when he processed one ton of Cabernet Sauvignon in 2001 and two tons of Syrah in 2002. David and Cynthia made the debut 500 cases of Portfolio in 2003, after their viticulture consultant told them there might never be a better vintage with which to launch. It had been the hottest season in a decade. “The grapes were crazy ripe, which translated into quite high alcohol in the wines,” recalls Cynthia. The Portfolio 2003 had 15.1 percent alcohol, although due to a printing error, the label read 13.8 percent. Because the Laughing Stock winery was not built until 2005, David crushed his grapes at the nearby Poplar Grove winery for two vintages. That enabled him to mentor under Poplar Grove’s Ian Sutherland. The skill transfer was invaluable even though the original Poplar Grove winery had rudimentary equipment. Soon, the well-equipped Laughing Stock winery enabled David to improve Portfolio. The greatest improvements have come with Laughing Stock farming its own vineyards. “Our original business plan was that we were going to buy a lot of our fruit so we don’t have to become farmers,” David says. 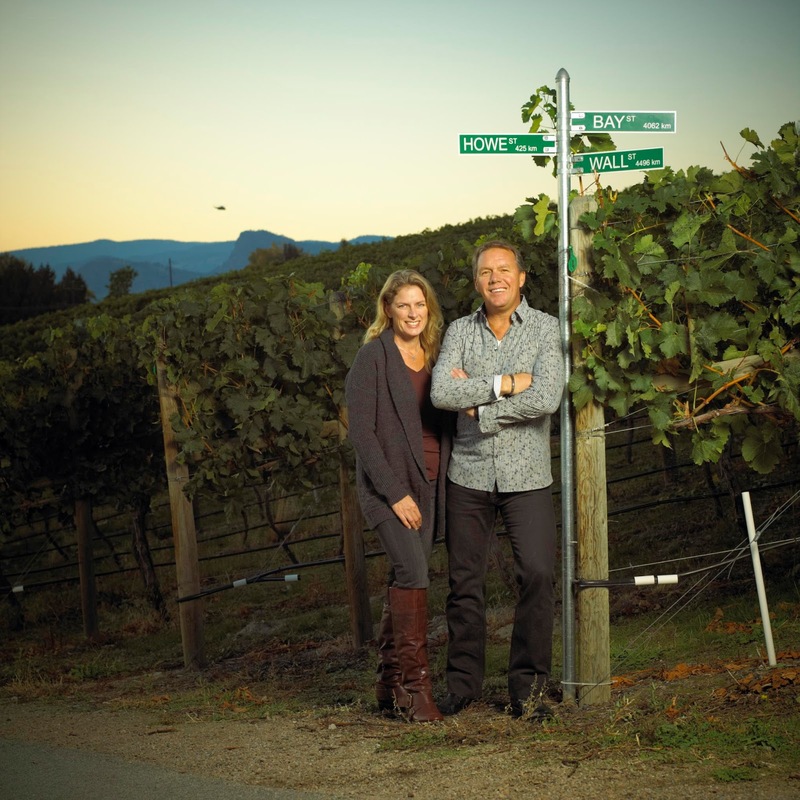 “Well, we quickly realized that if you want good wine, you need good fruit—and you have to grow it.” In 2007, the year after they sold their investment business, David and Cynthia, who now manages the vineyards, bought their Perfect Hedge Vineyard: 9 hectares (22 acres) on the Osoyoos East Bench. About half of Laughing Stock’s grapes are now from Osoyoos, while the other half are from Naramata. Perfect Hedge grapes—Cabernet Sauvignon, Merlot, and Malbec—have added flesh and rich flavours to Portfolio since the 2008 vintage. Laughing Stock’s total production is limited to about 6,000 cases a year, so that David can practise detailed, hands-on winemaking. “When I am making Portfolio, I have four or five Merlot vineyards, two or three Cabernet Sauvignon vineyards, a couple of Cabernet Francs, a couple of Malbecs, and one source of Petit Verdot,” he says. Fermented as individual lots, these come together during the blending trials about 15 months after vintage. When the premium Portfolio blend has been decided, it spends at least three more months in barrel, all of it French oak. Wines that do not make it into Portfolio are blended for an early-drinking wine called Blind Trust Red. Portfolio has seen continual improvement through additional sources of grapes, better winemaking equipment, and refined selection of barrels. Vintage variations are less dramatic than might be expected, given growing conditions. In 2011, when the degree days[AG4] were the lowest in Laughing Stock’s history, David made a wine good enough to win a Lieutenant Governor’s Award of Excellence. “My goal is to make better wine every year, based on what Mother Nature gives us,” he says. Selling Chardonnay is one of the more perplexing challenges facing wineries. One Okanagan winery with an excellent Chardonnay in its portfolio has quietly reduced the production by two thirds in recent years. The reference is not to Culmina Family Estate Winery. This Golden Mile producer, which is owned by Donald Triggs and his family, is in a position to increase production as the estate’s Chardonnay vines mature. While the varietal is named on the label, a proprietary name – Dilemma – is more prominent. To be sure, that name was not chosen to forestall those consumers who have developed a closed mind against Chardonnay. The explanation is that there was an old block of Chardonnay on the property when the Triggs family bought it in 2007. Their dilemma was whether those old vines would produce to quality Chardonnay; or whether they should plant better clones in a better location in the vineyard. The first vintage of Chardonnay from the old block was good … but not good enough for Triggs family’s long-term objectives. Those vines eventually were pulled out. The 2015 Dilemma is made from the young block. One of the benefits of giving the wine a proprietary name, however, is it might make consumers curious enough to try Chardonnay again. Why was the “Anything but Chardonnay” attitude born? Most blame it on the over-oaked Chardonnays that were being produced in Australia and California in the 1990s and that were popular at the time. However, big, buttery Chardonnays – most are now history- are difficult to pair with a wide range of food. Consumers also discovered unoaked white wines, especially light, simple Pinot Grigio or crisp, refreshing Pinot Gris. These are easier to drink at lunch, or in the afternoon by the pool, or with seafood. In recent years, Chardonnay producers have fought back with unoaked Chardonnay wines, with some success. My own palate tells me that Chardonnay, unlike Pinot Gris, needs a little exposure to oak to unlock the variety’s complexity. That might be barrel fermentation, or barrel-aging for a short time, usually less than a year. The percentage of new oak barrels is strictly limited, so that the fruit remains the star. Culmina has nailed that style. Wines like this are bringing consumers back to Chardonnay. The other wine just released by Culmina is called R&D Red Blend. R and D refer to Ron and Don Triggs, who happen to be twins. Ron Triggs is not in the wine business but he has allowed his brother to create this catchy label, with a photo of the youthful brothers. The wine is lower-priced and more accessible than Hypothesis, the winery’s flagship red. It is perfect for drinking while you wait for Hypothesis to mature in your cellar. Culmina Dilemma 2015 ($34). This elegant Chardonnay was carefully crafted so that oak is subtle, supporting the bright fruit and the voluptuous texture. The wine was aged nine months in French oak barrels (35% new, 35% used), with the rest in stainless steel. The aroma is a mix of citrus lightly touched with vanilla. 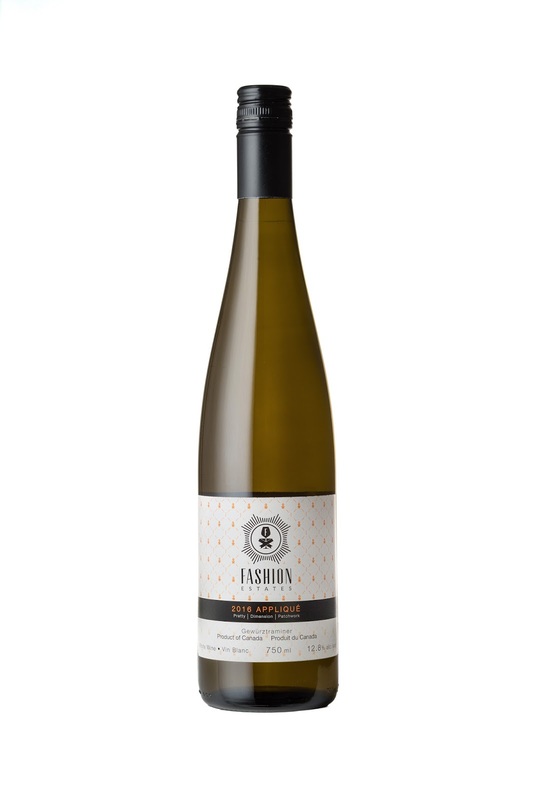 The palate is rich and intense, with flavours of tangerine, ripe apple and pear. A spine of minerality and also fresh acidity lead to a long, refreshing finish. The structure and acidity suggest the wine will cellar gracefully for several more years. 91. Culmina R&D Red Blend 2015 ($34). This is a Meritage blend anchored with Merlot, supported with Cabernet Sauvignon, Cabernet Franc and small quantities of Malbec and Petit Verdot. The wine shows the ripeness of the hot 2015 vintage. There are aromas of black cherry, blackberry and spice. On the palate, there are flavours of black currant, black olives and dark chocolate. Decanting allows the sweet dark fruit flavours to open on the palate. I would be inclined to cellar this as well for a few years. 91. 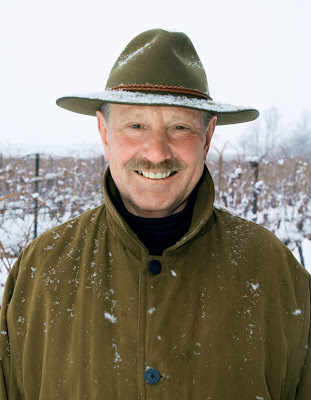 Karl Kaiser, the man who made the Icewine that put Canada on the world wine map, passed away on November 22 at the age of 76. Karl was a co-founder in 1974 of Inniskillin Winery with partner Donald Ziraldo. He was one of a handful of Ontario winemakers to begin making Icewine in 1983. Inniskillin stunned the wine world with a 1989 Icewine that won the top award at VinExpo in 1991. Within a few years, Canadian Icewines were famous around the world, giving a credibility to Canadian wines that was previously lacking. I recounted Karl’s history in my 2001 book, Icewine: The Complete Story. The book is out of print but Karl’s story deserves to be repeated. Born in Austria in 1941, Kaiser intended to be a teacher. He experienced vineyard work while in the novitiate of a Cistercian monastery there and later, while helping in a vineyard owned by the grandfather of his future wife. He emigrated to Canada in 1969, planning to teach science after earning a chemistry degree and doing post-graduate work in microbiology. It was a choice of studies that equipped him well when his career switched to winemaking. Kaiser arrived in Canada with a European wine palate and, dismayed at the sweet, foxy Canadian table wines, he planted a small home vineyard. While buying vines in 1971 at a nursery run by the Ziraldo family, Kaiser loudly disparaged Ontario wine as unpalatable. The combative Donald Ziraldo, a University of Guelph agriculture graduate seven years younger than Kaiser, loyally defended domestic wines. Kaiser made his point by returning with a well-made bottle of his home-vintaged Chelois rosé. Ziraldo conceded that better wines could be made in Ontario and proposed that he and Kaiser should make them. The cottage winery they opened in 1975 was the first winery licensed in Ontario in nearly fifty years. Its success inspired a wave of estate producers in all Canadian wine regions and the quality of Canadian wine began improving. In the 1970s, the avuncular Kaiser was one of the best-trained professionals among the German-speaking winemakers in Ontario. The other transplanted winegrowers from Austria and Germany gathered often at his well-equipped Inniskillin laboratory to share ideas and ambitions. In the summer of 1983, over several bottles of wine uncorked by the ever-hospitable Kaiser, the conversation turned to icewine. Kaiser and Ewald Reif, a German-born grower who owned a vineyard adjacent to Inniskillin, agreed to set aside vines for icewine. So did the Austrian winemakers then working at the nearby Hillebrand Estate winery and at the Pelee Island winery in southwestern Ontario. Only Pelee Island and Hillebrand were able to save some grapes from the birds to make small icewine vintages in 1983. All deployed nets the following year. Kaiser, who made about 900 bottles (375 ml. half bottles) in 1984, ultimately outdistanced his friends. By the vintage of 1998, he made or supervised the production of about 360,000 half bottles of icewine, undoubtedly a global record for any single winemaker. Kaiser’s seminal contribution has not been the volume he has made but the quality. His 1984 icewine -- the label reads “EISWEIN Vidal (ICE WINE)” and it retailed for $18.50 when released on December 1, 1985 -- was the only Canadian wine to win a gold medal at the 1986 InterVin International competition in Toronto. The Grand Prix in Bordeaux five years later, the first truly significant international medal won by any Canadian winery, firmly established Inniskillin’s reputation. When Inniskillin established a second Canadian winery in the Okanagan Valley in 1994, Kaiser obtained Chenin Blanc for the 1994 and 1995 vintages for icewine. The variety was planted in Niagara and in 1998 Kaiser made a Chenin Blanc icewine there as well. At first, Kaiser took advantage of the frigid Canadian winters to make spectacularly big wines. His 1986 Vidal icewine was made from grapes that were deeply frozen to -17ºC when pressed and the juice was 55º Brix, a honey-like sweetness. Kaiser concluded that the practical limit is -14ºC; below that, the berries are so solidly frozen that the juice yield is minimal and the excessively sweet must is almost impossible to ferment. In the bitterly cold vintage of December, 1996 the grapes again were picked at -17ºC and Kaiser broke two presses at Inniskillin in a near-futile effort to extract juice. “We had to wait until it was minus fourteen before we saw juice coming from the press,” he says. He now prefers a picking temperature of about -11ºC because it yields juice with 42º to 45º Brix. While the homespun Kaiser honed the technique of making icewine, it was his partner, Donald Ziraldo, who sold them. Ziraldo, who has received the Order of Canada, one of his nation’s highest awards for achievement, made his first trip to Vinexpo in 1989. This Bordeaux exposition properly known as Le Salon Mondial du Vin et Des Spiriteux, has become the most important of the international wine fairs. In Ziraldo’s luggage were samples of Inniskillin’s 1987 Vidal icewine, another powerhouse almost as concentrated as the previous vintage. “We didn’t have our own booth and there was no other Canadian winery there,” Kaiser recalls. But Ziraldo, with his easy talent for mixing with the rich and famous, found influential people to taste the icewine, including an individual who identified himself as a personal friend of Jean Vidal, the breeder of the grape. “He said, when he sat down and tasted the icewine, that he would rate the wine among the five best sweet wines in the world,” Kaiser recounts. This extravagant compliment spurred Ziraldo to enter an icewine at the 1991 Vinexpo. At Kaiser’s suggestion, Ziraldo took the 1989 Vidal. It was not nearly as voluptuously sweet as the previous vintages, with only about 160 grams of unfermented sugar, but with a hint of botrytis, it possessed more finesse and complexity. “It is very unusual for Vidal to get botrytis because it has a tough skin,” Kaiser says. “But we had this warm Indian summer, with fog in the morning.” This was ideal for the development of noble rot and the Vidal grapes had a ten to fifteen per cent infection. Kaiser had been pleased with that wine from the beginning and believed it was Inniskillin’s best shot at winning a medal. As it happened, Kaiser, ever the scientist, went instead to a technical conference in Seattle rather than Vinexpo, sending his daughter Andrea to Bordeaux with the Inniskillin delegation. She called from France with the stunning news that Inniskillin had won not only one of just seventeen gold medals but what she termed “the big medal.” Her mother, Silvia, thought it was more like “the Academy award.” The publicity sent Inniskillin’s icewine sales rocketing. “We were incrementally increasing our production of icewine every year,” Kaiser says. He continued to be conservative in quantity, however, until the 1995 vintage after Inniskillin had been acquired by Vincor International Ltd., Canada’s largest wine group. “It became a corporate objective to make a lot of icewine,” he says. That year, Kaiser made about five thousand cases or 60,000 half bottles of icewine. Production rose to sixteen thousand cases in 1996, then declined to four thousand in 1997 when the harvest was delayed by warm weather until January 1998 and most of the grapes were lost. But 1998, with favorable harvest conditions in both Ontario and British Columbia, he was responsible for making an astounding thirty thousand cases for Inniskillin or for Vincor under the Jackson-Triggs label. “We have more icewine under this roof than all of Germany makes together,” Kaiser asserted after that vintage. [When Kaiser retired] Vincor delegated its huge icewine production to the team of winemakers employed at half dozen Canadian wineries the company owns, each with its own icewine program. Karl’s achievements extended far beyond Icewine, as was recounted this week by Brock University, Canada’s leading winemaking school. He was a 1974 graduate of that university. Kaiser’s impact on the Niagara and Canadian wine industry is unmatched, and it was through his guidance and drive that Brock created the Cool Climate Oenology and Viticulture Institute (CCOVI) and the Oenology and Viticulture (OEVI) undergraduate program in the 1990s, said CCOVI Director Debbie Inglis. Kaiser’s love of wine research and his connection to Brock, where he graduated from in 1974, was something he took pride in. Born in Austria in 1941, Kaiser immigrated to Canada in 1969 with his wife Silvia. After graduating from Brock’s chemistry program in 1974, Kaiser was experimenting with winemaking, which led to a connection with Donald Ziraldo, a greenhouse owner who was providing Kaiser with grapes for his hobby. “Receiving the first Ontario winery licence since 1920, Kaiser and Ziraldo launched Inniskillin Winery in 1975, and began making wines that would ultimately put Canada on the world map for the industry. The difference between what Inniskillin was making and what was being produced in Ontario was the use of Vitis vinifera wine grapes rather than lower quality juice grapes. 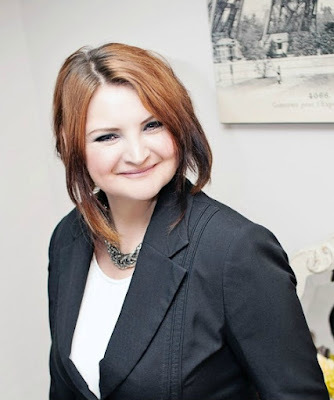 “It was a huge change for what was known in the industry at the time. But it was through their initiatives that the industry started to transform and we gained notoriety and respect,” Inglis said. The winemaker was given the Order of Ontario in 1993, was awarded an honorary doctorate from Brock in 1994, and was the recipient of Brock’s Distinguished Alumni Award in 2005 and the Faculty of Math and Science Distinguished Alumni Award in 2009. Kaiser was also honoured with Her Majesty Queen Elizabeth II’s 50th Anniversary Golden Jubilee Award and the Ontario Wine Society Lifetime Achievement Award in 2005. It was Kaiser’s desire for wine research and knowledge that, together with other industry pioneers, led to the development of CCOVI in 1996. He was part of the industry group that developed the concept for the institute that year, as well as the OEVI undergrad program that followed in 1997. The rule thumb is that Beaujolais Nouveau wines are released about mid-November and should be consumed by the end of the year, and certainly no later than next spring. What happens if you forget a bottle, only to remember it when the next vintage shows up? I just found out – and the news is good. Quails’ Gate Estate Winery’s winemaker, Nikki Callaway, has just released the winery’s second nouveau wine, Cailleteau Gamay Nouveau 2017. Her first, made in the 2016 vintage, was the first nouveau wine from any Okanagan winery in about 20 years. Nouveau is the first wine from the harvest. The tradition of making a young, fruity red and drinking it to celebrate the harvest began in Beaujolais as early as the 19th Century. In some other European wine regions, vintners sometimes also quaff very young wines – even before fermentation has finished. One never sees these wines commercially and that is probably a good thing. Beaujolais Nouveau, on the other hand, is now rushed to wine shops around the world on release. About 28 million bottles, give or take, are sold each vintage. The biggest brand is believed to be Georges Dubeouf, the legendary Beaujolais producer. The low tannin in the wine is the reason that consumers are advised to consumer it early. Tannin, along with acidity, gives wine the ability to age. Nouveau wines are not made to be aged. They are usually about six or seven weeks old on release. I still had a bottle of 2016 Caillateau in my cellar when the 2017 vintage arrived. I had tasted the 2016 when it was released at a Quails’ Gate event, so I put the sample bottle to one side and promptly forgot about it. That 2016 wine was a revelation when I opened it, starting with aromas of cherry and mocha that were echoed on the palate. There was even a hint of white pepper on the finish. Gone was the vegetative note of the very young wine. The texture was voluptuously silky. In a word, it over-delivered. I might just put aside a bottle of the 2017 Cailleteau (French for quail) until next year. Here is a note on the wine. It is best served lightly chilled. Quails’ Gate Cailleteau 2017 ($19.99 for 180 cases). 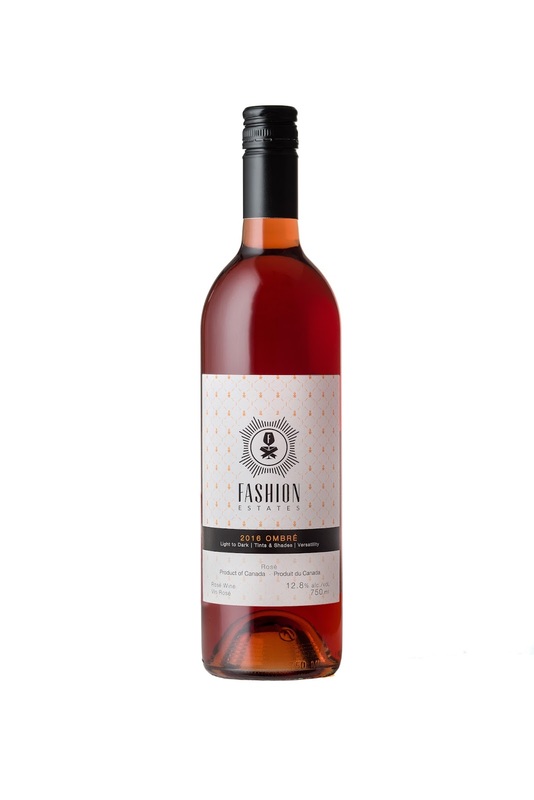 The wine has bright aromas and flavours of strawberry with a hint of milk chocolate on the finish. The texture is juicy. The exuberantly fruity flavours pair best with the simple foods a vintner might have at harvest. One of the best Beaujolais Nouveau pairings I ever had was a hearty cassoulet in a San Francisco restaurant. 88. Quintessential, the flagship red wine from Church & State Vineyards, has finished in the top three in all but one of the BC Iconic Reds tastings since 2013. Successive vintages of wine were in first place in the 2014 tasting, second in 2013 and 2017, and third in 2015. It is a great track record of quality winemaking. Here is an easy prediction: Quintessential will not win at the 2018 tasting. The reason: Church & State is renaming the wine. The 2014 vintage to be released next spring will be called Coup D’Etat. I have recently tasted that vintage and I have another easy prediction: it will also place near the top at the 2018 BC Red Icons tasting. Church & State is the winery on Black Sage Road run by Kim Pullen, his son, John, and their families. It has a satellite winery in the Saanich Peninsula, opened in 2002 as Victoria Estate Winery. When VEW failed, Kim took it over in 2004 and renamed it. Several years later, the main winery was relocated to the south Okanagan, close to the vineyards supplying its fruit. Over the past decade, Church & State has acquired significant Okanagan vineyards and has built an elegant tasting room on Ryegrass Road, south of Oliver. Quintessential was launched in the 2005 vintage when Church & State’s consulting winemaker was Bill Dyer, the legendary California winemaker originally involved with Burrowing Owl Vineyards. Kim recalls that he struggled for months to come up with a name for the flagship winery before his teenage daughter suggested Quintessential. So why change the name now? There is probably more to the name change than that. Consumers will have noticed that a major redesign of Church & State labels is taking place. This is one of those Okanagan wineries that retains the services of Bernie Hadley-Beauregard and his Brandever design studio in Vancouver. Bernie has a penchant of shaking things up to keep his clients’ labels fresh. He was involved when Church & State introduced a second label in the 2014 vintage called Lost Inhibitions. The 250 rude and lewd labels have scored a home run. Church & State has purchased vineyards in the Okanagan just to support Lost Inhibitions, now a 20,000-case brand. The brand is also in Alberta and Ontario with wines blended in California to Church & State specifications. The labels have also been licensed in the United States and Church & State has begun to contract vineyards to support the brand. The Lost Inhibitions wines are well made, accessible wines. The prices are consumer-friendly without being lowball. The Pullens understand the longer-term success of the wine depends on what is in the bottle, should the novelty of the labels begin to wear off. The labels are certainly not for your Aunt Elda’s church group. Just some examples: “Wish I had more middle fingers” or “All out of fu*ks to give” or “I swear I won’t text my ex.” At the winery tasting room and in wine stores, consumers tend to paw through the bottles for labels that resonate to their needs. Curiously, women prefer the lewd labels. You can imagine that the Pullens paid attention when Bernie suggested the Church & State labels needed to be refreshed. But whether the wines are Lost Inhibitions or Church & State, they deliver. Here are notes on some current releases. Church & State Pinot Gris 2016 ($20 for 675 cases). This is made with grapes grown in the winery’s Saanich vineyard. The wine is crisp and refreshing, with aromas and flavours of lime and green apple. 91. Church & State Trebella 2016 ($25). One of the Okanagan’s finest white Rhone blends, this is a blend of 62% Roussanne, 28% Marsanne and 10% Viognier. It begins with aromas of pineapple and honey, leading to stone fruit flavours. 91. Church & State Chardonnay 2015 ($27). This is an elegant Chardonnay, with bright citrus aromas and flavours in the starring role, subtly framed by oak. 90. Lost Inhibitions Red 2016 ($22). This is a blend of Merlot, Cabernet Sauvignon, Cabernet Franc, Malbec and Petit Verdot. Delicious and approachable, the wine has aromas of black cherry and blackberry and flavours of black cherry, plum and mocha. 90. Church & State Syrah 2014 ($35). The wine is made with grapes from on Black Sage Road, one of best Syrah terroirs. The wine has the classic meaty, smoky aromas of the variety. It delivers flavours of black cherry, figs, deli meats and black pepper on a rich, full-bodied palate. 91. Church & State Merlot 2014 ($35). The appeal begins with sweet berry aromas of cassis and blueberry. On the palate, there are flavours of black currant and black cherry. The texture is full but the wine also has some grip, suggesting good ageability. 92. Church &State Cabernet Franc 2015 ($35). This variety is a rising star in the South Okanagan, appealing for its intense aromas of blackberry and black cherry. These are echoed on the palate, along with notes of chocolate. The long, ripe tannins give the wine some heft. 93. Church & State Malbec 2014 ($35). The wine has the classic perfumed floral aromas of the varietal. The wine is dense and dark on the palate with flavours of black currant and with as spine of minerality. 92. Church & State Quintessential 2013 ($55 for 477 cases). This is a blend of Merlot, Cabernet Franc, Petit Verdot, Cabernet Sauvignon and Malbec, aged 22 months in French oak (30% new). It has aromas and flavours of black cherry and black currant. The texture is juicy but also elegantly polished. 93. Church & State Coup D’Etat 2014 ($55). This is a blend of Merlot, Cabernet Franc, Cabernet Sauvignon, Petit Verdot and Malbec. Even months from its release, the wine has the plush, juicy texture that made Quintessential such a winner. There are aromas of cassis, blueberry and plum, echoed boldly on the palate. The harmony is exceptional, with nothing out of place. 95. This fall’s releases from Fort Berens Estate Winery at Lillooet feature six wines – all from the 2015 vintage. That was one of the hottest vintages so far this century, both in the Okanagan and the Similkameen Valleys (where Fort Berens buys some fruit) and in Lillooet. At Lillooet, the yield was 40% lower than in 2014. The winery’s note did not elucidate on why but it is safe to speculate that the vines were conserving energy in a year of heat and water stress. The winery’s bankers might not have been happy with the reduced production. The vines, however, delivered grapes with more flavour and intensity, to the delight of consumers. Rolf de Bruin, the co-founder of Fort Berens, added: “It was also a vintage that continued to provide a lot of learnings for our team.” I’ll bet it was! It might be added that the 2016 vintage was abundant in production and high in quality. It is apparent that Lillooet can no longer be considered a trial region for vineyards, as was the case a decade ago when Dutch emigres Rolf and his wife, Heleen Pannekoek, decided to put down roots in the area. This was the first vintage when Fort Berens received Chardonnay and Pinot Noir from recently established growers in the Lillooet area. Fort Berens viticulturist Megan De Villiers and her team also work with these grape growers. Next spring, Fort Berens will double its estate vineyards by planting another 20 acres at Lillooet. “We factored in all our learnings over the past few years,” Rolf says. Fort Berens White Gold 2015 ($25.99 for 190 cases). This wine is made entirely with Chardonnay grown in the winery’s Lillooet vineyard. To take the complexity of this wine up another step, half is fermented with native yeast, half with commercial yeast. The wine was then aged six months in new French oak barrels, with partial malolactic fermentation and lees stirring twice a month. The wine begins with aromas of citrus and pineapple, along with toasty oak. On the palate, there are flavours of marmalade and tropical fruit. The oak is subtle, giving the finish hints of vanilla. 91. Fort Berens Pinot Noir 2015 ($24.99 for 710 cases). This wine is made with the four clones of Pinot Noir grown in the winery’s Lillooet vineyard. The wine was aged nine months in French oak barrels (20% new). Hints of toasty oak on the nose and the palate mingle with cherry and red berries. The vibrant fruit is bright and the texture is full. 91. Fort Berens Cabernet Franc 2015 ($24.99 for 638 cases). The winery describes this as its “flagship red” – presumably meaning flagship red single varietal. Grapes come both from Lillooet (the primary source) and the Okanagan. The wine, which was aged 10 months in French and American oak barrels, has the variety’s classic (and appealing) brambly black berry and red currant aromas and flavours, along with notes of cherry on the palate. A touch of toasted oak adds to the complexity of this full and satisfying red. 91. Fort Berens Meritage 2015 ($23.99 for 644 cases). This is a blend of 60% Merlot, 21% Cabernet Sauvignon and 19% Cabernet Franc, with 40% of the grapes grown at the estate and the rest from Okanagan and Similkameen vineyards. The wine was aged in both French and American oak barrels. The wine is full and juicy on the palate, delivering gobs of sweet berry flavours – jammy cherries and blueberries. The oak expresses itself with toasty aromas and vanilla on the palate. 90. Fort Berens Meritage Reserve 2015 ($27.99 for 595 cases). This is 56% Merlot, 27% Cabernet Sauvignon and 17% Cabernet Franc. This wine, the winery’s first reserve Meritage, was a selection of the best barrels. The texture seems a little fuller than the regular Meritage. The wine has flavours of black cherries, black currants and chocolate. Long ripe tannins contribute to its plump mouthfeel. 92. Fort Berens Red Gold 2015 ($44.99 for 154 cases and 48 magnums). Here is a wine with power and heft. It is 43.6% Cabernet Franc, 30.6% Cabernet Sauvignon and 25.8% Merlot, with grapes sourced from the south Okanagan, from the Similkameen and from the estate vineyard. The power – the alcohol is 15.5% - is drying a substantial quantity of the Cabernet Franc grapes for a month before fermentation. The grapes lose 30% of their water, becoming somewhat raisined, which concentrates flavours and sugars. The wine’s bold aromas and flavours feature black cherry, blackberry, figs and vanilla. 94. A red from Road 13 Vineyards, Fifth Element 2013, was the top pick of the 100 or so wine lovers at this year’s BC Iconic Reds tasting. This was the 10th annual tasting, featuring some of the best of BC’s red Bordeaux blends. The competition originated with the SIP Wines VQA store in Richmond. When that closed two years ago, sponsorship was taken over by Sutton Place Wine Merchants. Tasters now meet in a ballroom at the Sutton Place Hotel to taste and judge 20 leading Okanagan red wines. The wines, which had been decanted in the afternoon, were served one at a time in a random order. Of course, the wines were not identified until the two-hour tasting was over. At the end, the tasters voted on their top five picks, an arbitrary but sensible number to prevent overwhelming the computer tabulation. In fact, the points were tabulated for the top seven (with a tie for sixth place). I have listed the winners, followed by the others in alphabetical order. The tasting notes are from the wineries where such notes were available. Otherwise, I have inserted my tasting notes. 3. Lariana Fourteen 2014 ($45 for 450 cases). The blend is 63% Cabernet Sauvignon, 26% Merlot, 11% Carmenère. The wine was aged 18 months in barrel, predominantly French. Winery notes: “Yielding aromas of ripe crushed blackberries and black currants, the structure is further supported by their same silken richness. Dark plums laced with a chocolate licorice note continue to the intensely generous flavourful finish." The remaining 13 wines are listed in alphabetical order. Laughing Stock Portfolio 2015 ($44.99 for 2,500 cases). Aged 20 months in French oak (40% new, 60% second fill). Winery notes: “The 2015 vintage of Portfolio has a bold nose with aromas of blackberry, warm raspberry, vanilla bean and some earthy herbal notes. The tannins are powerful but have a velvety texture that will provide longevity in the wine, as it has in previous vintages. As always, Portfolio is a full bodied wine with ample concentration and complexity that will develop for years to come.